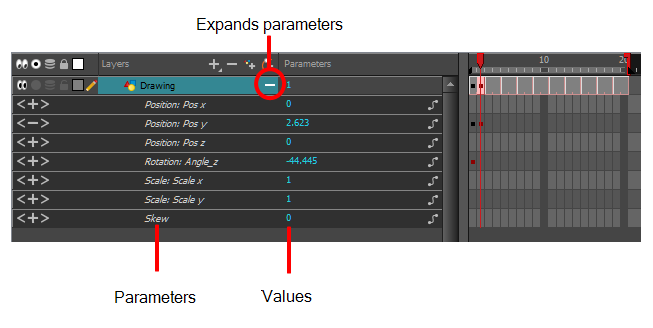 Harmony keeps track of each parameter of each layer by storing them in their own function curve. When you add a keyframe to a layer, a keyframe is created on each of these functions, and transformations done on a layer via the Camera view are translated into coordinates which are then stored in those functions. 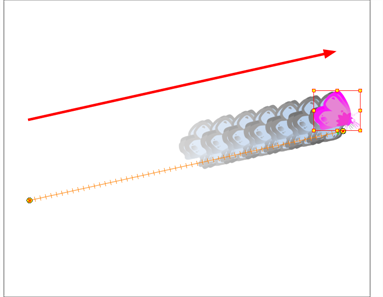 It is possible to edit these functions individually using the Function view, but that is rarely necessary, as Harmony provides easy-to-use tools for visually controlling trajectories and timing in the Camera and Timeline views.